Despite continuing high demand for the retro console, Nintendo of America announced that they will discontinue the NES Classic Edition by the end of this month. Today marks the end of an era. After stellar sales that constantly left the console out of stock, Nintendo of America will discontinue the NES Classic Edition in the United States at the end of this month. Throughout April, NOA territories will receive the last shipments of Nintendo Entertainment System: NES Classic Edition systems for this year. We encourage anyone interested in obtaining this system to check with retail outlets regarding availability. We understand that it has been difficult for many consumers to find a system, and for that we apologize. We have paid close attention to consumer feedback, and we greatly appreciate the incredible level of consumer interest and support for this product.... NES Classic Edition wasn’t intended to be an ongoing, long-term product. However, due to high demand, we did add extra shipments to our original plans. In addition to halting sales of the console, Nintendo will stop producing the NES Classic Controller. No news on whether or not sales in other regions will continue. 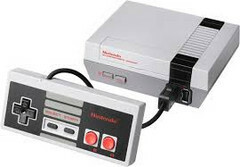 Nintendo of America also declined to comment on the Famicom Mini, a similar console modeled after the Nintendo Famicom (the Japanese version of the NES). As of January, the NES Classic Edition had sold 1.5 million units. The company had trouble keeping the console in stock, much to the chagrin of avid consumers chomping at the bit for the nostalgic gaming machine. These supply issues may explain why Nintendo is halting sales, but until we get an official explanation from the gaming giant, we won’t know for sure. If you’re still looking to buy the console, you may be out of luck. Resellers have already raised prices on used units to astronomical levels ($1,000 and up). Unless you have deep pockets, you’ll need to look elsewhere for your retro gaming fix.